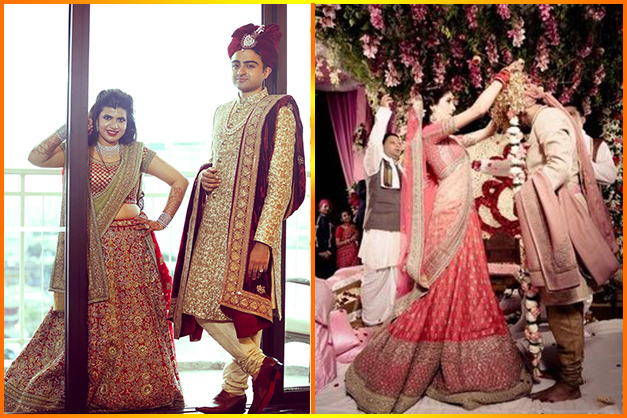 As the wedding approaches, the main concern for the bride as well as the groom is their outfits. With the changing trends everyone desires to be dressed in the best outfits. Nowadays, most couples decide on coordinating their outfits for their functions. Some couples like to match each and every detail, while some like styling their outfits in a total contrast. All this selection of right colors will lead to wonderful photos if your outfits match perfectly. 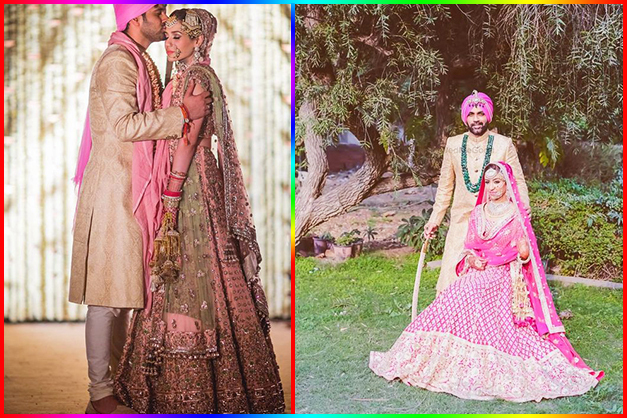 Here are some tips to keep in mind that will help you attain that perfect match without looking like coordinated twins! When you are choosing a monotone attire, then the groom can incorporate that same color in the smallest detail of his outfit. He can don a tie, stole or a turban in the similar tone of the color. 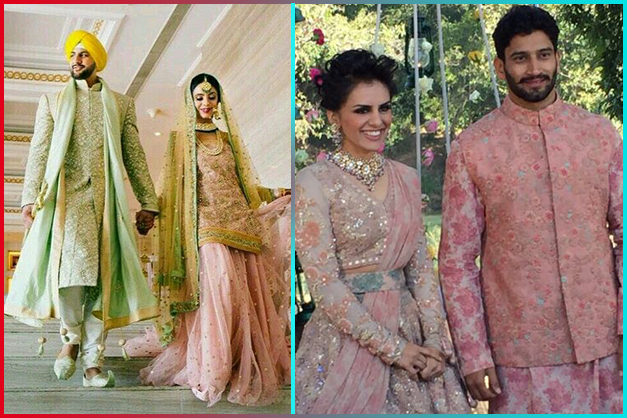 In this way the couple can coordinate their colors in small doses. 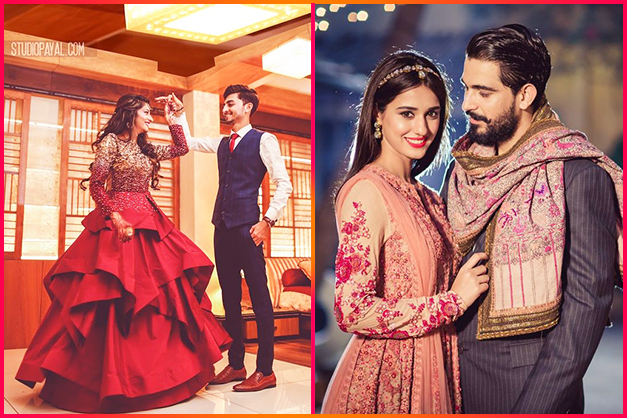 It is also advised to pick an extra dupatta for your outfit which can probably of the same color of your groom’s outfit… Trust us, this way of coordinating the outfits can never go wrong. One more way to go with the trend is to try same color but in different hues. 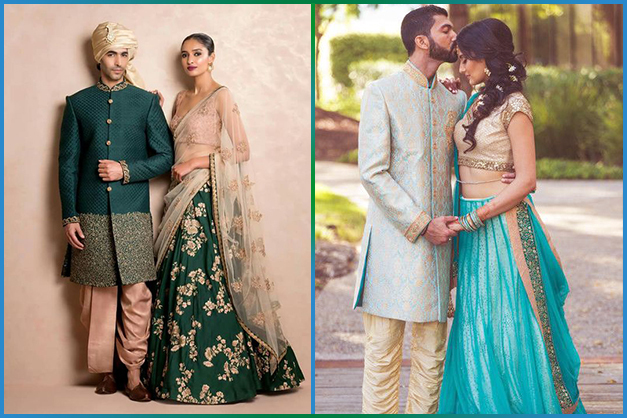 So if you are donning an emerald green lehenga, then your groom’s attire can be in mint green color. P.S. If you have done with the selection as well as buying your outfits and still want to coordinate, then don’t worry. You can add elements of the other person’s color in your outfit you can totally pull it off. For example- matching the color of the bride’s outfit with the groom’s accessories.